AthenaInvest, (https://www.athenainvest.com) the leader in Behavioral Portfolio Management, today announced that the Athena Global Tactical ETFs portfolio ended last year (12/31/18) with Morningstar’s highest rating of 5-Stars Overall out of the 300 strategies in the Tactical Allocation category. The 5-Star rating recognizes risk-adjusted performance in the top 10 percent of a category, a rating the Athena Global Tactical ETFs has achieved for 17 consecutive quarters, since Morningstar began tracking the portfolio against the Tactical Allocation category. Designed to deliver long-term growth, the portfolio invests in major global equity markets to capitalize on the most attractive market opportunities while also managing significant downside risk. The market rotation strategy is driven by AthenaInvest’s patented research which measures macro-level crowd behaviors. Demand for tactical solutions has increased over the last four years with the number of strategies in the Tactical Allocation category more than doubling, according to Morningstar. Dr. Howard is a recognized thought leader in the application of behavioral finance for investment management and is the architect of the portfolio’s unique strategy. 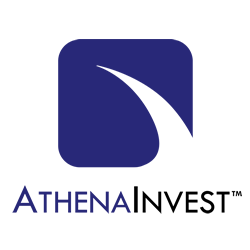 The Athena Global Tactical ETFs portfolio is one of several behavioral strategies managed by AthenaInvest. For more information, please visit https://www.athenainvest.com or call (877) 430-5675. AthenaInvest is the industry leader in Behavioral Portfolio Management with a patented research process built on a deep academic foundation developed over 35 years of interaction with leading academics and institutional managers by C. Thomas Howard, PhD, CEO and Chief Investment Officer. AthenaInvest analyzes persistent and predictive behavioral factors to build innovative investment strategies including value equity, high-dividend equity and global tactical equity. AthenaInvest is a sub-advisor to Princeton Fund Advisors and ICON Advisers. Headquartered in Greenwood Village, Colorado, AthenaInvest is a SEC Registered Investment Advisor. It should not be assumed that recommendations of AthenaInvest made herein or in the future will be profitable or will equal the past performance records of any AthenaInvest investment strategy or product. There can be no assurance that future recommendations will achieve comparable results. You are solely responsible for determining whether any investment, investment strategy, security or related transaction is appropriate for you based on your personal investment objectives and financial circumstances. You should consult with a qualified financial adviser, legal or tax professional regarding your specific situation. Investments involve risk and unless otherwise stated, are not guaranteed. Past performance is not indicative of future performance.